LLB/LLM back paper 2015 exam form also uploaded, the students have to fill online. The last date for payment online fee also 05 November. While for attending the exam students must submit their online form printout to college by or before 06, November. The university will accept forms from colleges by 09/11/2015. The Hon. vice chancellor (V.C) Prof. N.K. Taneja added that the interested students must apply just now; this is the last extension, after this no more extension possible. Submit form to college by 06/11/15. 2.Special Back Paper: The students’ request to university to conduct Special Back paper exam for session 2015, so that they can complete their degree in 2015. However, the university didn't decide anything about this matter. For this exam, students have to pay extra fee in the thousands. 3.Odd semester’s exam in January 2016: The University’s first, third, fifth, seventh semester exam will in the first week of January month, 2016. The university instructs to colleges for conduct and finishes all internal examinations in December month. 4.B.P.Ed. & M.Ed. 2015-16 admission procedure started for the current session. The online form started from 24 October 2015. The online application’s hard copy (print out) is accepted by colleges until 06/11/15. 5. National Service Scheme over in 57 Colleges affiliated with Meerut University, the government administration has over the NSS unit. 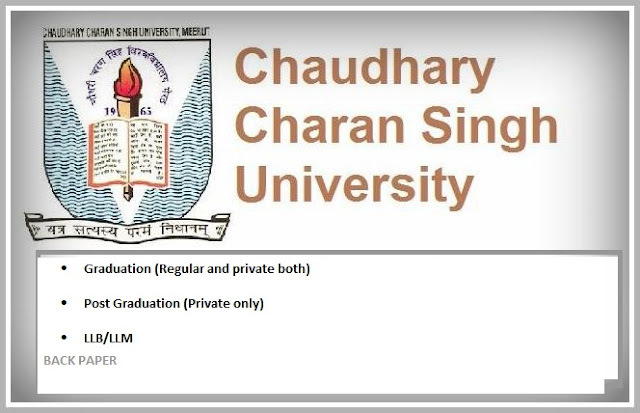 The administration not a lot the NSS seats to these colleges, including Meerut College, RG Degree College, DN Degree College, NAS College, Ismail National Mahila (PG) College, Kanohar Lal Postgraduate Girls College etc.